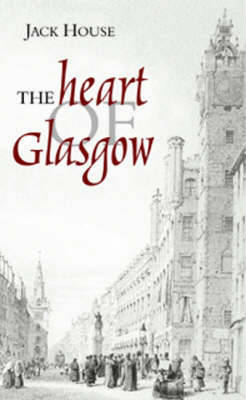 "Heart of Glasgow" is still regarded as the quintessential book on Glasgow. It stays strictly within the bounds of what has always been referred to as 'the City', that is the area resembling a cross and consisting of the High Street from as far north as the cathedral down to Bridgegate on the Clyde with the east-west thoroughfare stretching across the High Street through the Trongate and down what was to become Argyle Street. Here, and in the surrounding closes, courts, backlands, feus and glebes all human life was to be found. Jack House's seminal work is presented in the form of a tour ensuring that it will appeal to Glaswegians and visitors alike. On it he introduces the reader to many places, some familiar, some not so, and sadly today, many now long gone. This all acts as a wonderful counterpoint to foreword writer Jack Maclean's Glasgow of today. Since Jack House first wrote this book the city has changed dramatically but within the heart of it, change has been less obvious and the medieval layout of the city still remains. These are the streets that Jack takes the reader through in a book which is neither guide, nor formal history, but something in between the two. It is a journey every visitor to Glasgow should take.